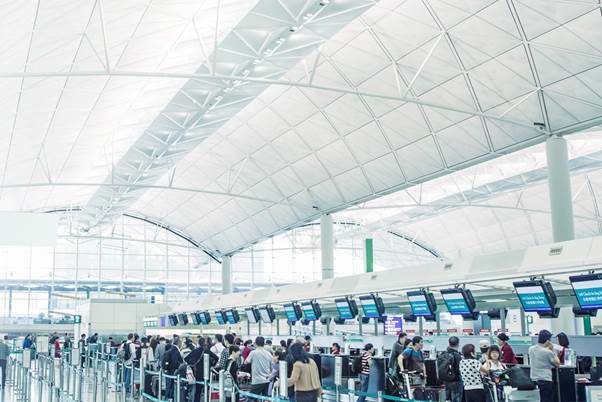 Neste Green Hub solution connects key stakeholders and creates the right ecosystem to decrease CO2 emissions across the aviation industry. Neste Green Hub creates a platform where airports, solutions providers, airlines, authorities, local community and passengers all unite and contribute to more sustainable travelling. "We're developing different business models that explore ways of bringing stakeholders together to share best practices and to help the aviation industry implement sustainable solutions widely," says Paul Paoletta, Head of Neste MY Aviation Solutions. Neste Green Hub provides an opportunity to embed sustainable principles at the heart of decision-making, and to make sure that all of its stakeholders benefit from efforts to decarbonize aviation. While much of aviation's carbon footprint is linked to flights, there also remains great scope to reduce emissions through other measures. These could include, for instance, offering renewable fuel for ground transport and bioplastic applications for aircraft. The first steps of this shared journey have already been taken as Neste teams with Genève Aéroport to offer sustainable aviation solutions. The Swiss gateway is planning to introduce renewable jet fuel for aircraft operating from Geneva International Airport. The initial target involves setting at least 1% of the annual jet fuel consumption at Genève Aéroport to be composed of renewable jet fuel, starting in late 2018. In Hamburg, Stuttgart, and Helsinki airports, Neste MY Renewable Products have been selected and already introduced to ground transport to reduce CO2 emissions. "The global aviation industry is committed to carbon neutral growth from 2020 onwards and regulatory support is emerging. Neste MY Renewable Jet Fuel(TM) is one of several ways that we are showing our commitment to reduce greenhouse gas emissions in aviation. With the Green Hub solution, we are aiming to be a catalyst for industry-wide action and cooperation to meet this goal," continues Paoletta. Aviation is the fastest growing means of transport and thus emissions will grow substantially. Neste is holding discussions with several airports regarding solutions for emission reduction. Currently, the only viable alternative to fossil liquid fuels for powering commercial aircraft is sustainable renewable jet fuel, which is one the most efficient means of decreasing greenhouse gas emissions.